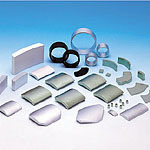 Sales Products | NAGOYA DENK CO.,LTD. 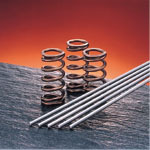 Automobile safety and comfort are supported with the unseen power of piano wires, SUS wires and carbide wires. Nagoya Denki supplies these essential materials to many customers. Automobiles are made of electronic and machine circuits. 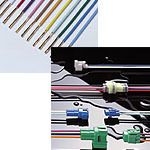 Nagoya Denki delivers wires and connectors to interface the signals and electricity. 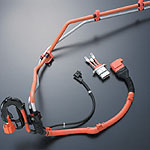 Nagoya Denki has cooperated with the development of special harnesses for hybrid automobiles. We have contributed to the production of a million vehicles. All modern automobiles are controlled by semiconductors. 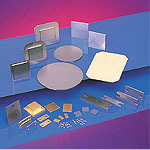 Various heat sinks are indispensable for these semiconductors. Automobiles are equipped with several tens of motors, etc. Magnets are an essential material for high-performance motors. 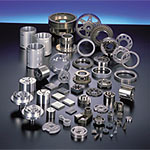 Sintered products <P/M Parts > are formed by pressing and sintering powder such as iron, SUS or aluminum. 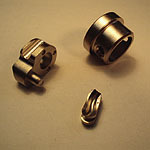 These parts help reduce machining work, and lead to reduced costs. Metal injection molding <MIM> technology has increased and now three-dimensional compact parts are incorporated in automobiles.